Outgoing Senate Minority Leader Harry Reid said Wednesday that he “did what was necessary” in 2012 when he falsely accused Mitt Romney of not having paid his taxes for 10 years. Reid was asked about those comments, which he made during a speech on the Senate floor, in response to call during a live interview on Las Vegas’ KNPR. Reid, who is leaving the Senate next month, denied the accusation. But he offered up a flimsy and fact-devoid defense of those 2012 claims. “First of all, there were no brazen lies. What I said is the truth,” he maintained. “There’s no brazen lies. I did what was necessary,” he said a few moments later. During a speech on Aug. 2, 2012, after Romney had become GOP candidate for president, Reid claimed that a source had informed him that the former Massachusetts governor had not paid taxes for 10 years. “As we know, he has refused to release his tax returns. If a person coming before this body wanted to be a Cabinet officer, he couldn’t be if he had the same refusal Mitt Romney does about tax returns. So the word is out that he has not paid any taxes for 10 years. Let him prove he has paid taxes, because he has not,” Reid said. 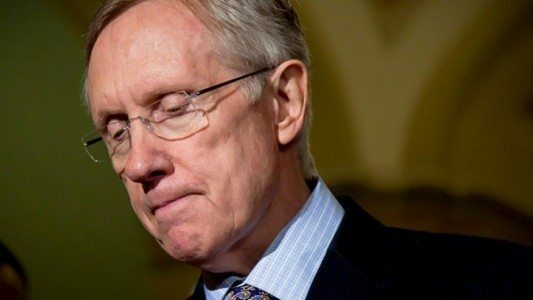 Reid produced no evidence to back up his claim at the time, and his statement was widely denounced as a lie by fact-checkers and other political observers at the time. 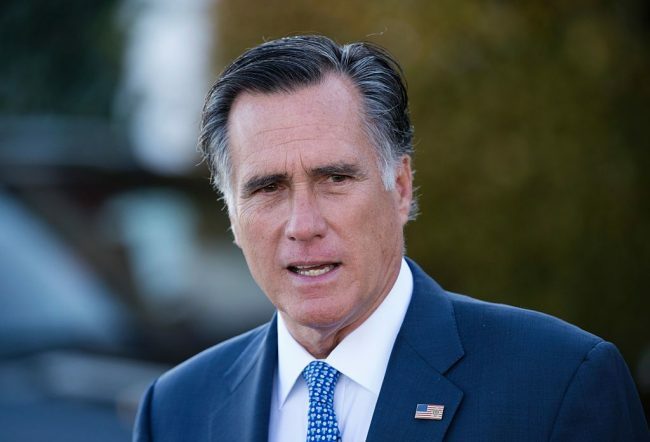 In September 2012, Romney released a notarized letter from his tax preparer showing that he paid state and federal income taxes for the previous 20 years. The lowest federal tax rate he incurred during that span was 13.66 percent, according to the documents he released. In his response on Wednesday, Reid did not reiterate his 2012 claim. Instead, he made a much less serious charge: that Romney had not been truthful about his taxes because he had refused to release all of his tax returns. “Mitt Romney refused and has still refused to show us his tax returns. He gave us the main part of two tax returns. This is when he was running for president. That is not a true sign of what he had done,” he said. This is not the first time that the Nevada Democrat has refused to acknowledge that his comments were baseless. In an interview with CNN last year, he suggested that his statement was warranted because it was effective. “Romney didn’t win, did he?” he told CNN’s Dana Bash.